Shopping is so therapeutic that its the only therapy that I believe is worth paying for...and what's more you end up with lust-worthy goodies. One day tired after finishing a lengthy write-up, on a whim, I took off to Galleria market located in Powai, Mumbai to indulge in some retail therapy. I did not have a definitive shopping list with me nor enough money ( thanks to the recent demonetization of INR 500 & 1000 notes) !!! But on such whimsical days are the best things found. 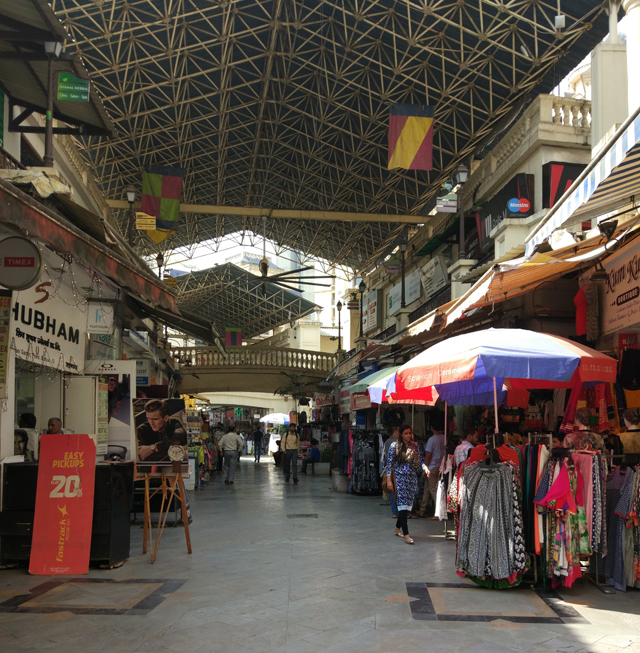 So what all did I find at Powai's shopping heaven? Read on to find out!!! I entered through a maze of retail shops selling almost everything under the dome ceiling-ed market. Let's start with clothes and accessories. 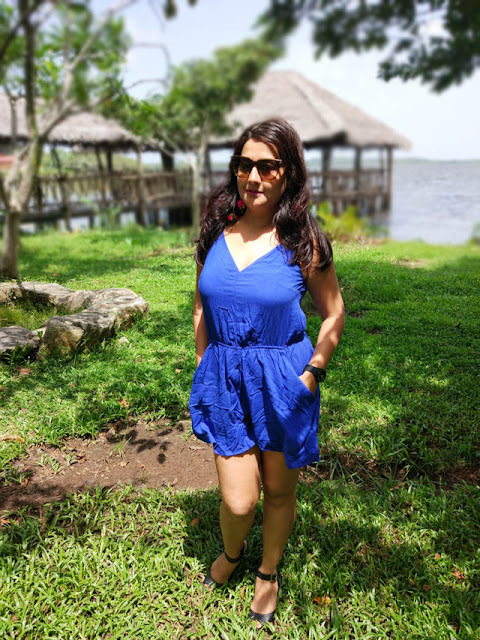 I went through couple of shops to find stylish cotton tops in Indian prints selling at INR 150, trendy casual tops selling at INR 300 and dresses- both short and full length with prices starting at INR 500. Trendy cotton tops at Galleria Market, Powai. A boutique named "Jackpot" had some beautiful full length dresses in vibrant hues and Indian prints on display....how could I resist? I ended up picking a dress in yellow at just INR 500. There is lot to choose from in western wear too- graphic t-shirts, palazzo pants, wrap around skirts and more. Happy shoppers at Galleria, Powai. Accessories like hair clips and hair bands start at INR 50 and are quiet trendy for everyday wear. 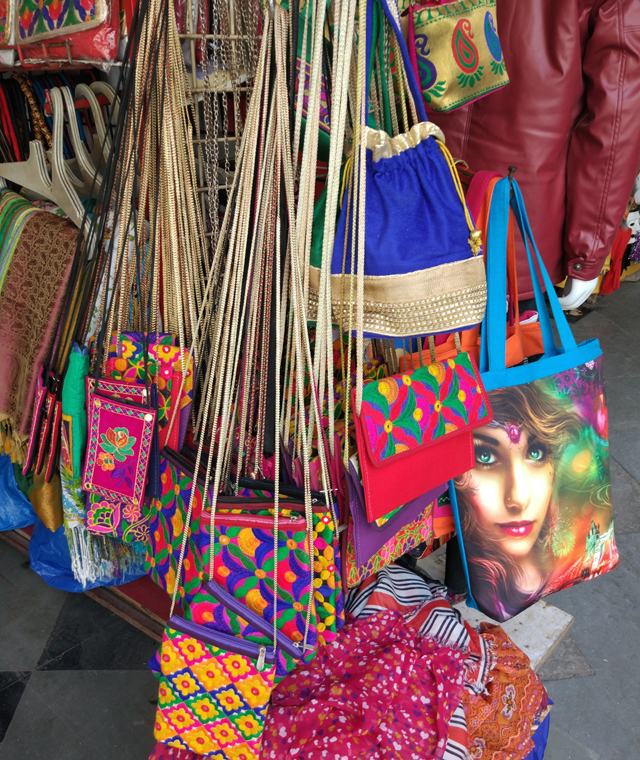 I also spotted some beautiful digital print cloth bags, colorful traditional stoles, leather bags and cute sling bags. 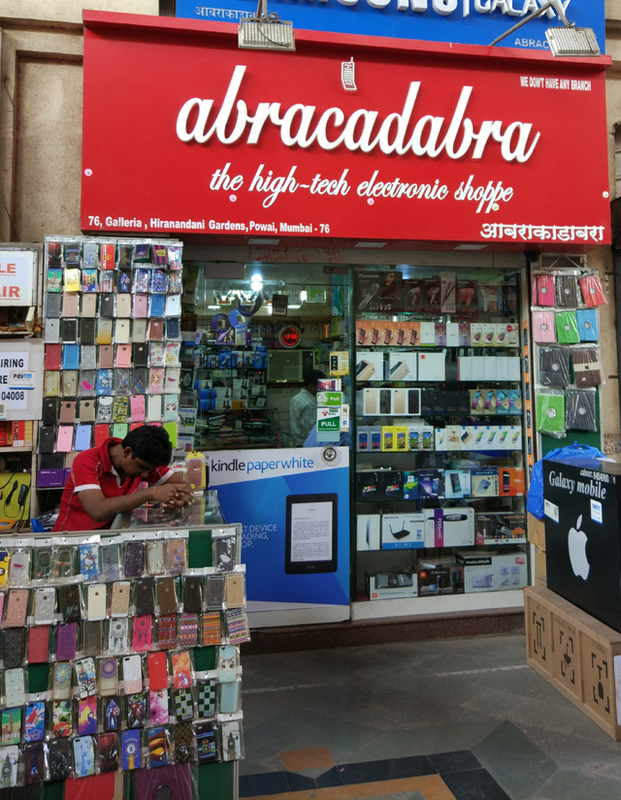 Gadget lovers can indulge in some heavy duty shopping at a store named "Abracadabra" electronic shoppe. 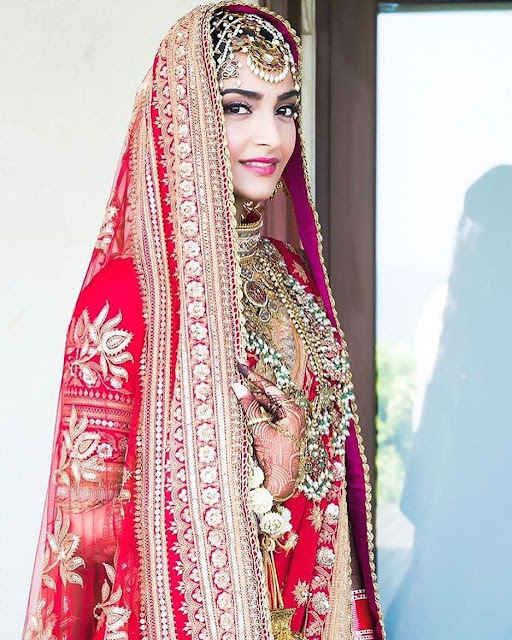 There are a couple of good jewellery shops too that sell Indian ethnic jewellery in gold and silver, diamond jewellery and more! 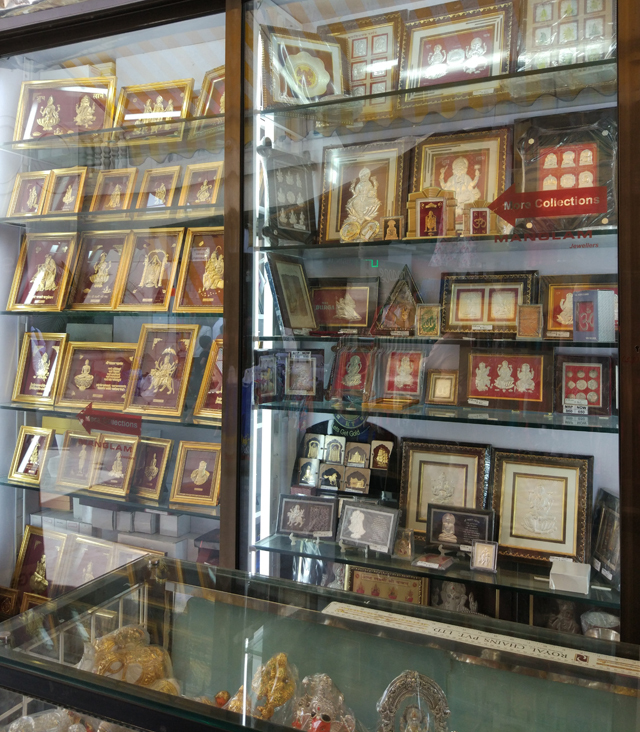 I found some beautiful gold-plated and silver statues and frames of Indian deities in one such jewellery store. If all the shopping makes you hungry, head one level up to indulge in a variety of foods- biryani and tikkas at Kareem's, Lebanese wraps and salads at mm! maroosh or some hot paranthas. 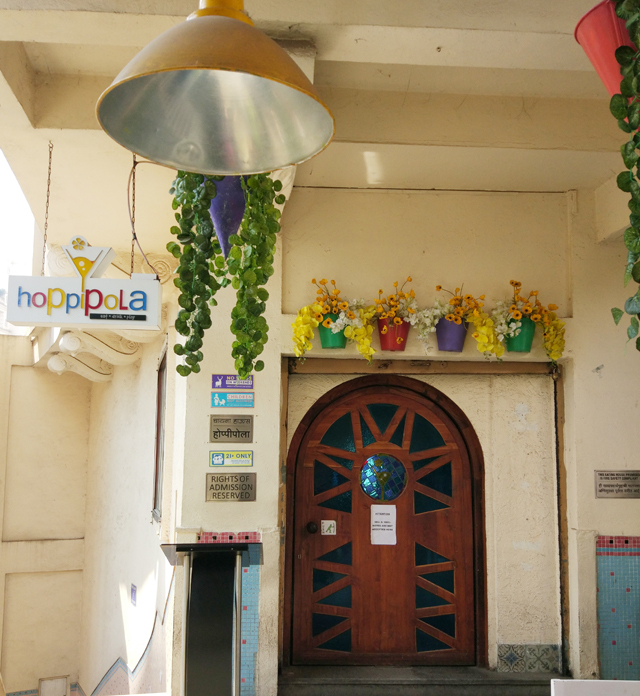 "Juicy" food corner offers lot of delectable Indian dishes too! 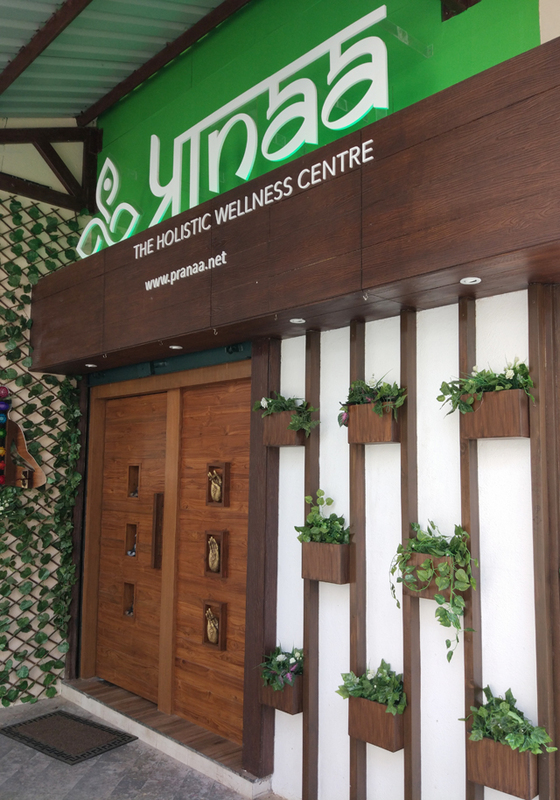 Step into "Pranaa" a holistic wellness center if you wanna get pampered some more. There are a couple of opticians that come handy if you decide about buying new sunglasses or making contact lenses/ glasses. 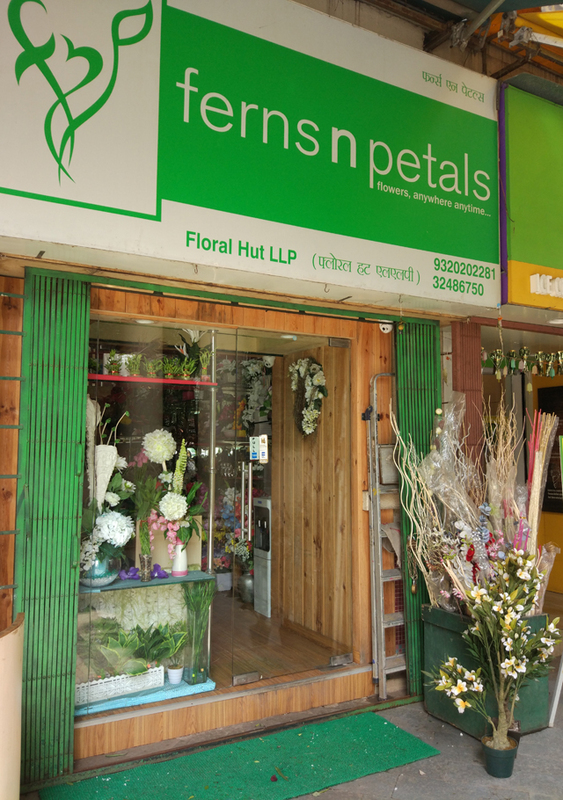 I also spotted ample ATMs, a flower shop- Ferns N Petals and a ice cream shop that lured me with a sign that read "Pani Puri Sorbet".